BMW is celebrating the 30th birthday of the M3. To celebrate that special birthday, BMW has launched a special version of the current M3 that will be sold in limited edition around the world. This special car is called the BMW M3 “30 Years M3” and will be limited to 500 units globally. 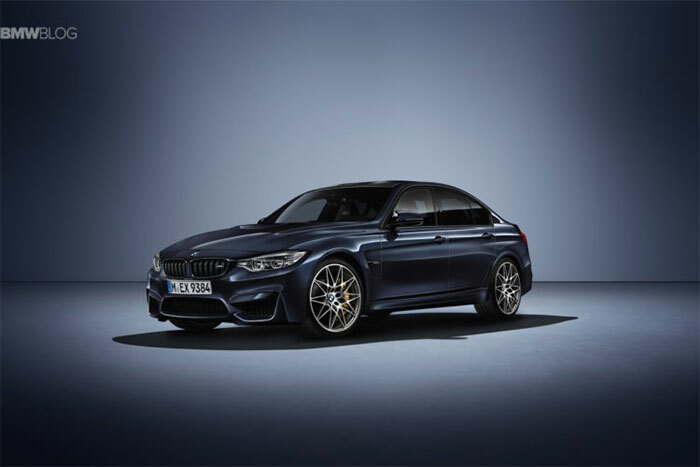 The special car is coated in an exclusive Macao Blue metallic paint, a color that was a special option for the first generation M3, and the car has a custom interior. The special edition is built on the BMW M3 Competition Package car with 450hp and extra torque. It gets the Adaptive M suspension with comfort, sport, and sport+ modes. The car rides on special forged 20-inch M light alloy wheels with 666 M store spoke design and special tires. BMW says that the car can reach 60mph in 4-seconds. The trim inside the car is in carbon fiber and shows which number out of the 500 available the car is. The car costs an additional €10,000 over the cost of the M3 with the Competition package in Germany. The car will go on sale this summer, exactly 30 years after the first contract for a BMW M3 was signed.